​An exploration into different methods of joining folded textiles - this time using lacing. Inspired by the sculptures of Jaume Plensa. 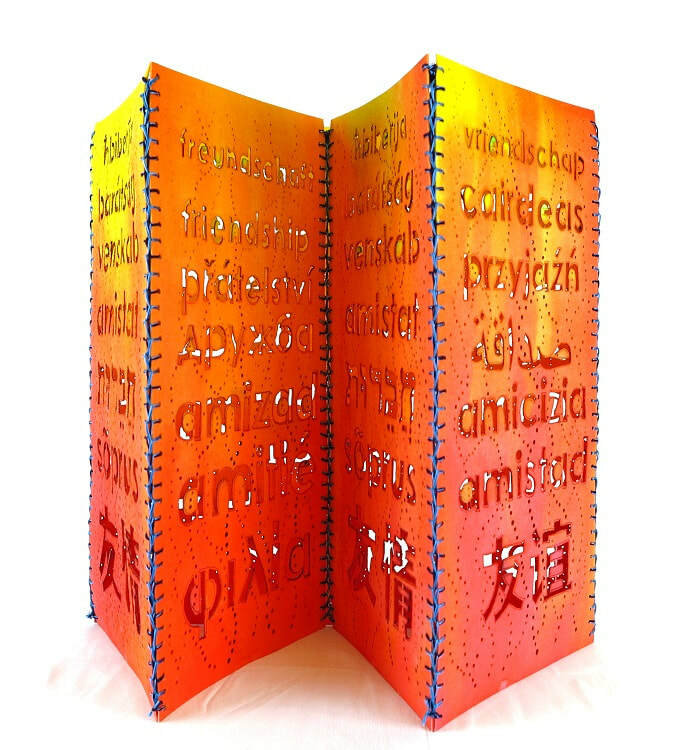 The text reads the word 'friendship' in many different languages.